Lucinda Rhodes, Ewen MacIntosh, Ziad Abaza et al. After his father is killed in an altercation with drunken thugs, Salah's (Ziad Abaza) world is plunged into darkness. Forced into running the family kebab shop alone, Salah struggles to manage the increasingly rowdy night life and when a fight with an angry customer goes fatally wrong, he finds himself with a dead body on his hands. With no faith in the authorities Salah disposes of the body in the one place he knows best… the kebabs. 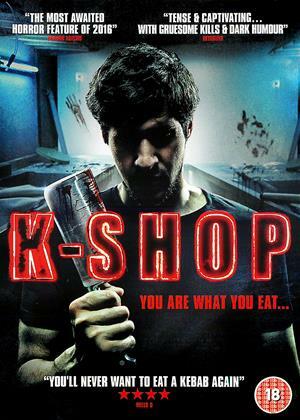 As the shop's gullible customers devour the new recipe, Salah develops a taste for the kill and seizes the opportunity to turn vigilante and seek revenge on the abusive drunkards plaguing the streets.